Buy One Designer Wig get 2nd One 50% off. 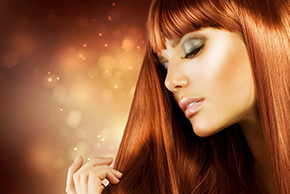 Wigs Hair & More is the premiere shopping choice for hair and beauty supplies in the Stuart, FL area. By combining a professional, knowledgeable staff with an unmatched selection of quality products, we are able to guarantee our clients a one-of-a-kind shopping experience. •	Wigs—When you visit our store, you will be amazed at the selection of quality wigs that we offer. We stock top of the line brands such as Eva Gabor, Estetica Designs, and the ever- popular Raquel Welch. Our pricing is very competitive and we even carry a few cheap wigs. •	Extensions—Hair extensions keep growing in popularity. Wigs Hair & More stocks all the latest trends, such as bright colored clip ins to wear on a fun night out, to extension sets, more commonly referred to as a weave. Our 100% human hair extensions are meant to last and are guaranteed to help give you a thick, beautiful head of hair. •	Beauty Supplies—In addition to our large collection of wigs and extensions, we also carry many beauty supplies. Naturally we carry the necessary wig shampoo and accessories. We also carry regular shampoo for your natural hair, along with various perm products, hair color, costume jewelry, hair accessories, and even costume jewelry. We constantly strive to cater to our clientele, giving the best in service to match the quality of our products. We are especially grateful to be able to serve our special clients, those who are fighting and surviving cancer. We offer colorful and trendy turbans that appeal to all of our clients, but most especially to these brave women fighting every day just to survive. Our cancer patient wigs can be styled to exact specifications. Wigs Hair & More wants these brave women to look as stunning on the outside as they do on the inside. Wigs Hair & More is truly a shopping experience that is not to be missed. We carry top of the line brands and have a selection that is second to none. It includes wigs, extensions, shampoos and conditioners for all hair types, hair accessories, and costume jewelry. Come to us for anything you need to make yourself look and feel even more beautiful.